At RG Taylor we are a true advocate for sustainable Energy Centres & Renewable Energy. Our Energy Centres and bespoke plant rooms are designed to address both the ESCO and planning requirements. They incorporate a variety of traditional and sustainable generation technologies, all integrated into one package. 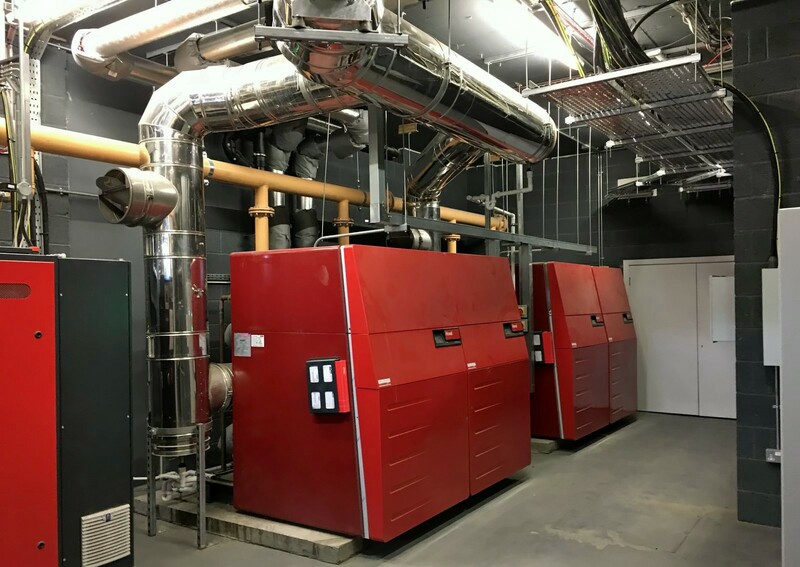 We have responded to the increasing popularity of Centralised Boiler Plantrooms with HIUs per dwelling due to the increased efficiency but can also gain BREEAM point factor. RG Taylor Engineering can advise you on your options for sustainable energy; from CHP to Biomass and Solar panel and provide quality advice when looking at traditional installations and modular/packaged solutions.